From October 13 to 16, CAYIN will take part at Infocomm MEA in Dubai World Trade Centre. 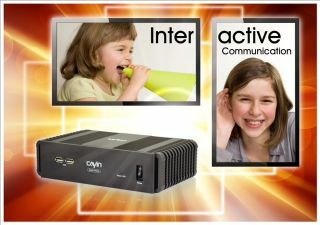 CAYIN will take this opportunity to showcase SMP-NEO series digital signage players and present digital signage for advertising and marketing, messaging, training, and interactive entertaining. SMP-NEO has a whole new user interface. Integrating the Cloud service, web-based Skin Editor, and intelligent scheduling, SMP-NEO allows users to easily design and manage their own digital content. SMP-NEO also supports a variety of multimedia formats and can playback 1080p full HD video, Flash animation, HTML5 web page, etc. Moreover, the integrations with popular web services such as, Twitter, weather, news, streaming videos, can help users create dynamic multimedia communications to meet the needs of all occasions and applications.